Fodo is taken from the Friends of Don Orione and each year the friends sponsor a pilgrimage to either The Holy Land, Rome or the religious sites of Italy. These pilgrimages are organised through STAR TRAVEL LTD, 3 Boileau Parade, London W5 3AG (telephone 0208 998 2931; Fax 0208 997 1378; Email: info@startravel.co.uk). STAR TRAVEL LTD ensures all pilgrimages are ATOL protected (Number 2368). The pilgrimages usually provide for 8 70 9 days with full board and daily Mass and an organised daily itinerary. 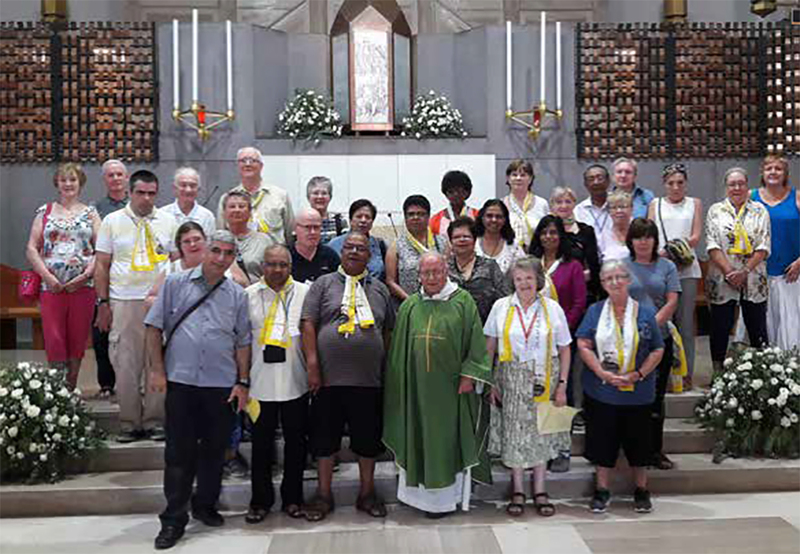 Visiting the Basilica of the Annunciation, St Joseph’s Church, the Synagogue and trips to Stella Marsis, Haifa, Mount Carmel, Mount Tabor, Cana, Caesaria Philippi, Mount of the Beatitudes, Tabgha, Church of St Peter’s Primacy, Sea of Galilee and Capernaum. Visiting Shepherd’s Fields, Basilica of the Nativity, Ein Karem, Church of the Visitation, House of Joy, trips to Jerusalem to the wailing wall, Temple Mount, Dome of the Rock, Basilica of St Anne, Pools of Bethesda, Via Dolorisa, Mount of Olives, Church of All Nations, Yad Vashem Holocaust Memorial Museum etc. Is around £1,435 per person in twin rooms, £300 supplement for a single room, All rooms en-suite, airport departure and local taxes, tips, entrance fees and service charges are included. A deposit of 3400 is required to be sent with a booking application from and the balance to be paid eight weeks before departure. (* costs are based on 2018 exchange rates and any variations in exchange rates, fares, taxes, duties or implementation of new ones will be subject to increasing these prices). You must provide your own travel and medical insurance and ensure it is suitable to your needs and circumstances and evidence of such must be shown to Fodo pilgrimages prior to departure. Cancellation must be in writing and any cancellation after eight weeks before departure will result in the forfeiture of the cost of the pilgrimage. In the event of the latter you should contact your insurance company immediately. British Citizens currently require a passport with at least 6 months validity from date of return journey. Other nationals should check visa requirements before committing to the pilgrimage.